Zecharia Sitchin (1920-2010), an eminent Orientalist and biblical scholar, was born in Russia and grew up in Palestine, where he acquired a profound knowledge of modern and ancient Hebrew, other Semitic and European languages, the Old Testament, and the history and archaeology of the Near East. A graduate of the University of London with a degree in economic history, he worked as a journalist and editor in Israel for many years prior to undertaking his life’s work–The Earth Chronicles. This entry was posted in Writings and tagged Alien DNA, Anunnaki, Sumer on February 1, 2015 by ZSI. In March 1925 the Tennessee legislature outlawed the teaching of any doctrine denying the divine creation of Man as taught by the Bible. In July of that same year, John T. Scopes, a high school teacher, was brought to trial for teaching Evolution in violation of the state law. The ensuing Scopes Trial (or, derisively, the “Monkey Trial”) drew worldwide attention to the seemingly irreconcilable conflict between Creationism (the old fashioned belief in the biblical account) and Evolution (based on Darwin’s findings of Natural Selection). 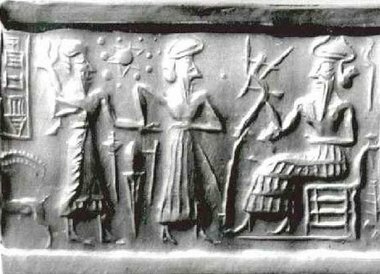 This entry was posted in Writings and tagged Alien DNA, Anunnaki, Scientific Debate on November 21, 2013 by ZSI. This entry was posted in Writings and tagged Adam & Eve, Alien DNA, Anunnaki on November 18, 2013 by ZSI.